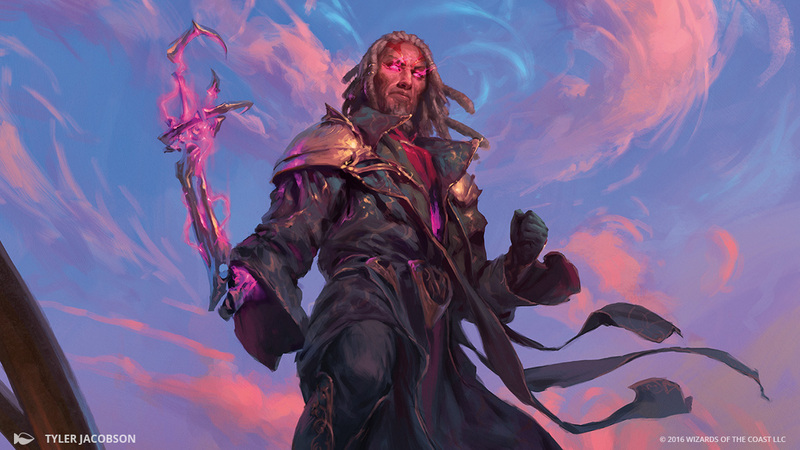 Tezzeret became an initiate of a mage sect called the Seekers of Carmot, hoping to gain access to the sacred Codex Etherium tome. When he intruded into the sanctum of the Seekers, however, he uncovered truths others didn't want him to find … and a conspiracy much larger than himself. 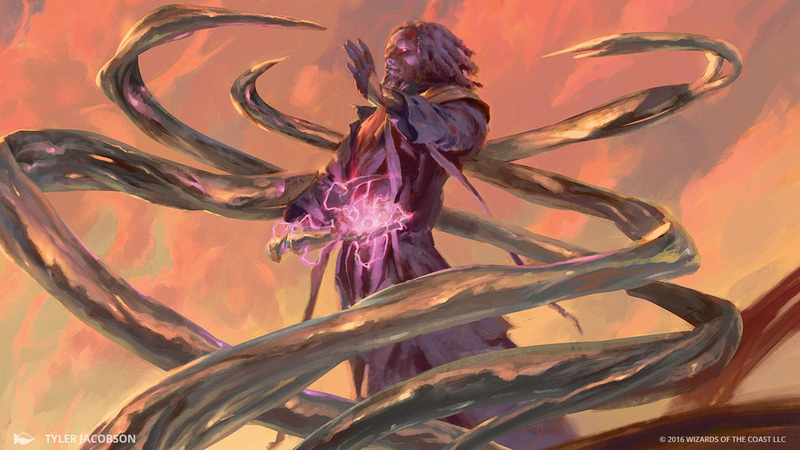 Mortally wounded by the guards, Tezzeret's spark ignited, hurling his battered body between the planes to Grixis, where he laid dying. Revived by the scheming elder dragon Nicol Bolas, Tezzeret was forced into servitude in exchange for his life. 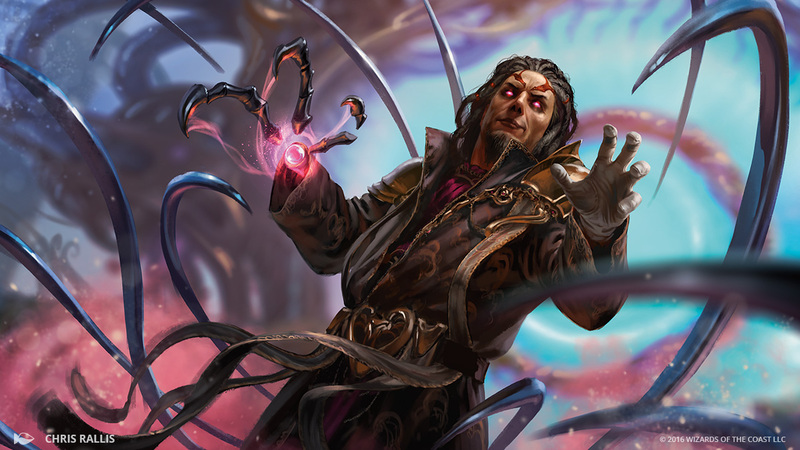 Tezzeret then went on to seize control of the cabal known as the Infinite Consortium (or at least Bolas allowed him to think he had). On the plane of Ravnica, from which Tezzeret led the Consortium, he recruited fellow Planeswalker Jace Beleren, hoping to use him as a powerful pawn. 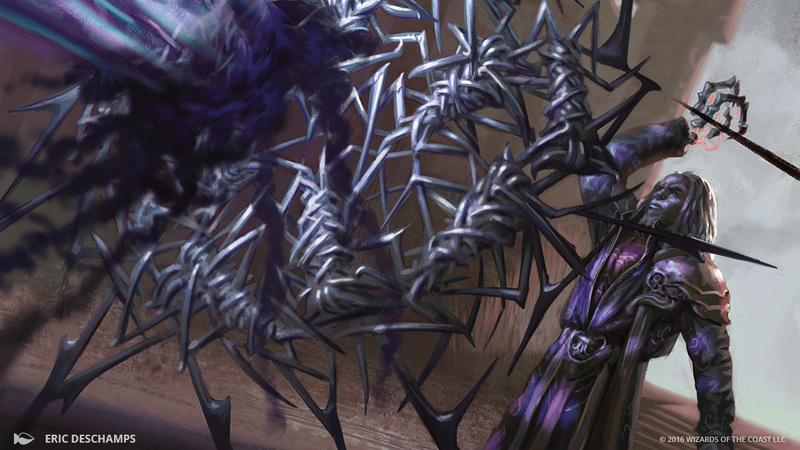 But Jace had other ideas and defeated Tezzeret in combat, erasing his mind almost completely. 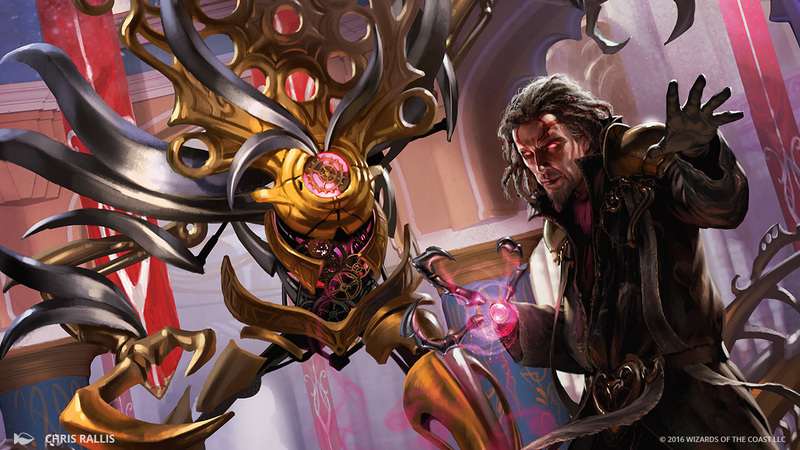 Bolas retrieved Tezzeret's body, rebuilding it for a sinister new task. 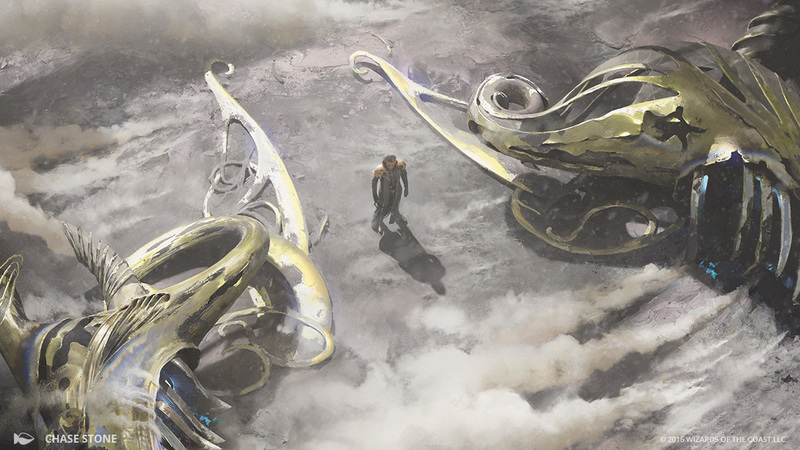 Later, the elder dragon sent him to the plane of Mirrodin to observe the growth of New Phyrexia and report on its progress. 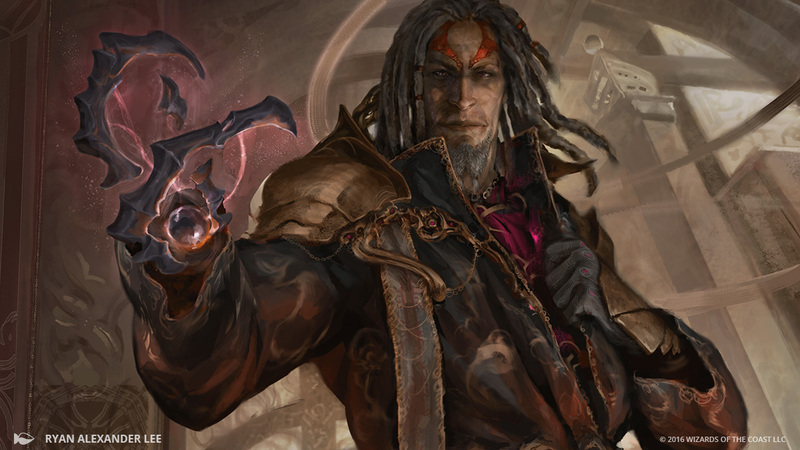 Now, Tezzeret is on Kaladesh, a world where his affinity for artifacts makes him feel right at home. He has wormed his way into a prominent position in the Consulate, and his influence can be felt in Ghirapur's new curfew, aether quota, and crackdown on inventions. As always, he watches for an opportunity to gain power and turn the situation to his advantage.